A splash of spring colour adds a fresh look to any room. Step inside a coastalthemed, open-concept townhouse. Kara Derksen crafts exquisite home décor from glass. 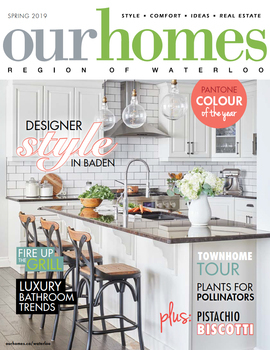 A designer’s Baden home blends style, function and special memories. Refresh your space with expert guidance from local professionals.